Therapeutic Riding Association of Greece (T.R.A.G.) announces series of seminars for the certification: «Specialist for psycho-educational therapy with horses» «Deutsches Kuratorium für Therapeutisches Reiten e.V. (DKThR)». Ending the educational program successfully, you’ll be given a certificate also signed by the German Association for Therapeutic Riding. The instructors will be from Germany and Greece, yet the main instructor will be the internationally known clinical paedagogist/FN Germany vaulting/riding instructor Marietta Schulz. There also teaching distinguished, in the field of therapeutic horse riding, speakers such us Henrike Struck (German Kuratorium) and Maria Liapi who is in charge of T.R.A.G’s therapeutic program. The educational program consists of three 5-days seminars (1st part: 20-24 April 2019, 2nd part: October 2019, 3rd part: Spring 2020). The program addresses to psychologists, psychiatrists, teachers, special education teachers, occupational therapists, social workers, nurses and in general every profession in the area of health and/or education. 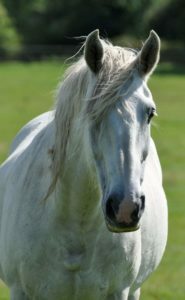 Preconditions: Knowledge on horse grooming, lunging and riding. To secure a position, register until 20th of January 2019. For any further information or question you can contact with TRAG from 9:30-17:30 via telephone (0030 210 7488566) or via e-mail: triding@otenet.gr. Keynote speakers include will be Mike Studer. Mr. Studer has presented courses and published articles on neurologic and geriatric rehabilitation since 1995 and has authored and co-authored over 25 articles on topics of neurology and geriatrics, as well as several book chapters on stroke, PD, and preventative care as well. For physical or occupational therapist or physcians practising hippotherapy in Europe. 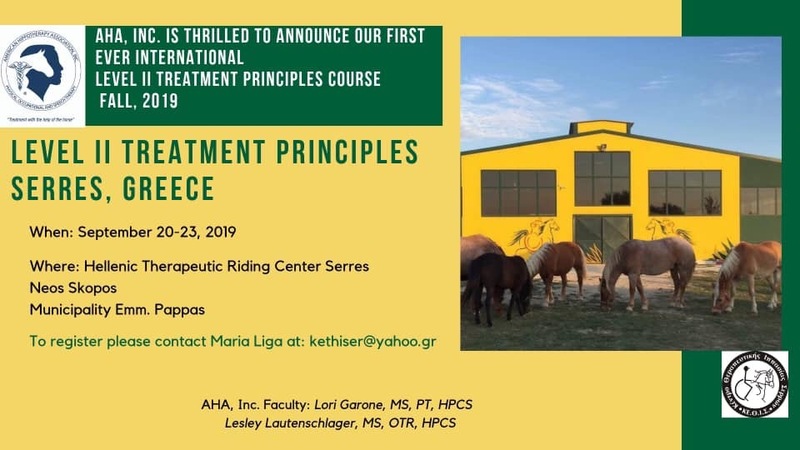 Dr Beth Macauley (USA) will also be hosting a pre-meeting workshop connecting speech therapy and hippotherapy. Registration is needed, places are limited. Fundación Para la Promoción del Deporte Ecuestre made public the call for Infanta Doña Elena Therapeutic Riding Awards for the Hispanic American Community 2019. This important Award is intended to highlight and aknowledge the work of individuals, institutions or groups that conduct, organice or promote in any way therapeutic riding activities in any of the Hispanic American countries.